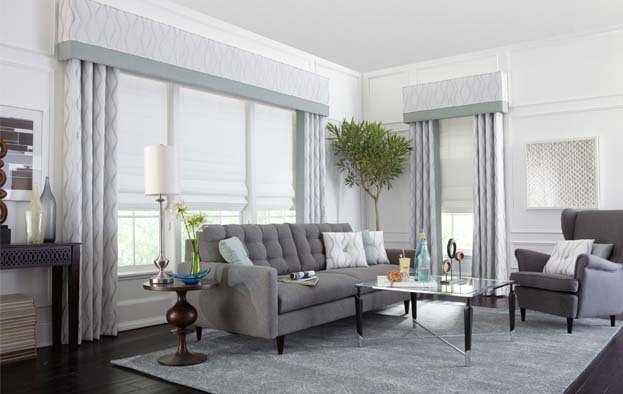 Stationary Pleated Side Panels w/ Roman Shades - by Exciting Windows! Soft, modern and inviting—this room is meant for relaxing. The tranquil color palette softens the room, but also coordinates with the stronger colors of the furnishing and hardwood floors. The contrasting banding draws your eye up and frames the windows to give a more modern style. Two toss pillows of your favorite fabric complete the room. Let us help you personalize your home today!